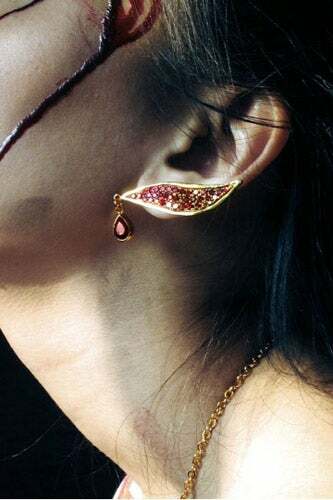 London-based jewelry designer Kali Arulpragasam is no stranger to communicating complex, impactful statements with her stunning and provocative jewelry line, Super Fertile, and certainly does not shy away from the controversial with her most graphic—and breathtaking—collection yet. 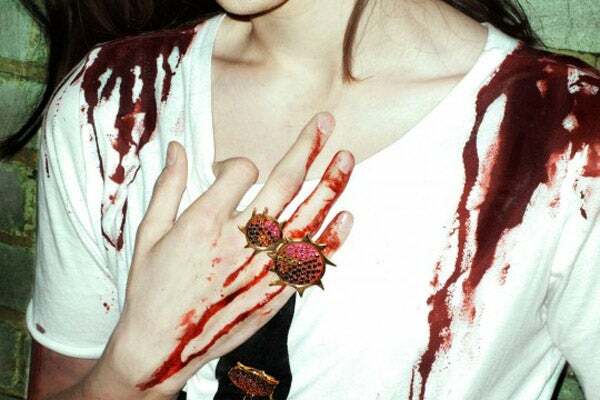 Aptly titled "Murder," Super Fertile's autumn/winter '11 collection features bold, abstract pieces made to resemble grisly gunshot wounds, machete slashes, and machine-gun spray, juxtaposed with delicate gold settings and carefully selected, high-quality rubies, sapphires, and garnets. 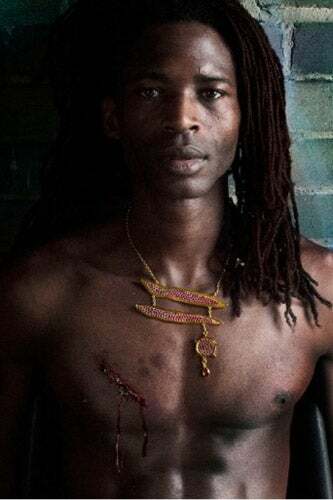 Known for weaving political consciousness and global strife into her designs with both artful grace and bombast, Arulpragasam manages to address environmentalism, third-world poverty, human exploitation, and violence, resulting in emotionally charged yet luxurious jewelry collections. 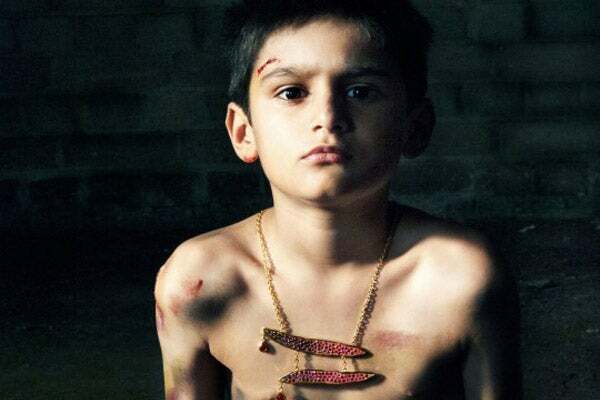 "Murder," which tackles violence and human casualties of war, boasts a range of oversized cocktail rings, body chains, and Indian-inspired necklaces and headpieces to mimic "butchering and hacking of the throat, head, and ears to portray the inhumanity around the world." 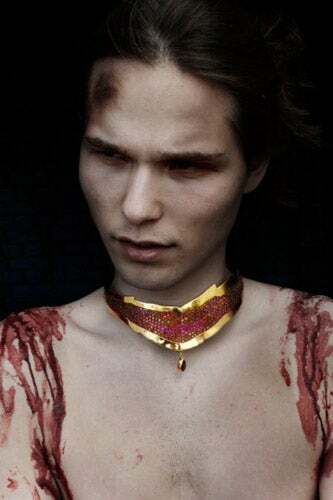 And if this concept didn't leave you breathless enough, Super Fertile's incredibly beautiful and well-executed lookbook featuring dark-but-connective images of multi-ethnic men, women, and children wearing each piece from "Murder" certainly will. And if you're wondering why Arulpragasam's name rings a bell, it's because she's the eldest sister ofinternationally acclaimed—and equally politically motivated—artist, M.I.A. (Maya Arulpragasam).